Narrowing down the selection of idyllic locations for romantic getaways in Portugal has been a tough job. There’s just so much choice! 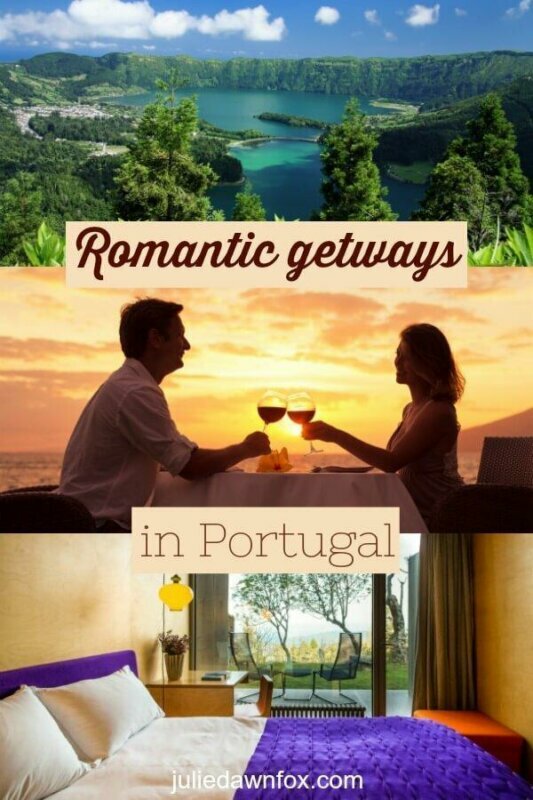 To keep it simple, I’ve highlighted at least one place for every region in Portugal where you and your sweetheart can feel the love and not just on Valentine’s Day. 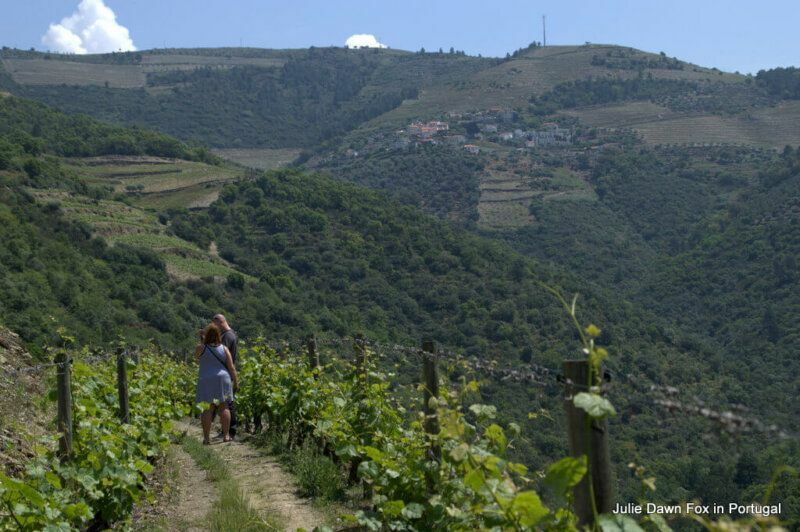 The magnificent Douro Valley wine region is a perfect backdrop to romance, especially when you stay on a delightful wine estate where you can stroll through the vineyards together or settle down for a gourmet picnic. Ramp up the intimate atmosphere on a private sunset sailing trip along the River Douro followed by a gourmet meal on board for just the two of you. If you prefer mountain scenery and want to truly escape for a while, head to the foothills of the Peneda Gerês National Park. On walks or drives through jaw-dropping landscapes you’ll encounter crystal-clear waterfalls and plenty of spots that you can share with nothing but the local wildlife. 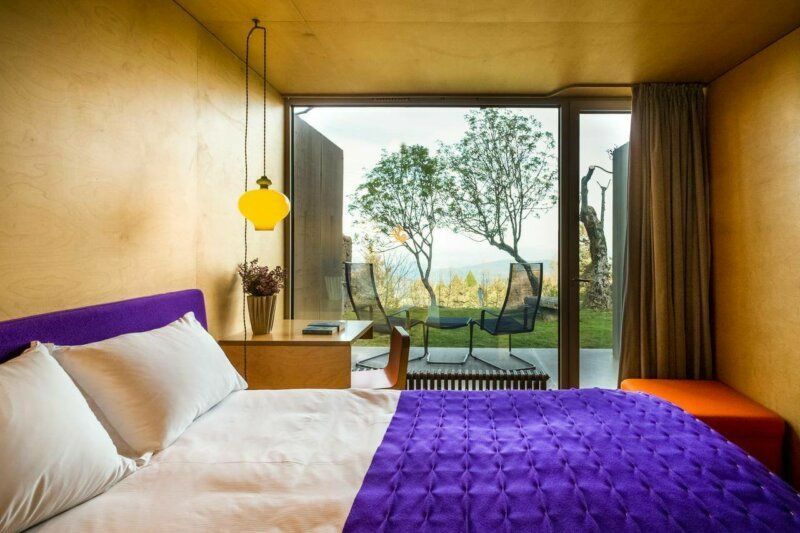 Or simply hole up in an 18th century castle surrounded by vineyards where you’ll be treated like royalty at Boutique Hotel Solar dos Anjos – they’ll even send a Rolls Royce to come and get you from the airport if you like. Portugal’s most famous star-crossed lovers, Pedro and Inês, played out their ill-fated romance in the gardens and palace of Quinta das Lágrimas in Coimbra. You can explore the romantic botanical gardens and try to simultaneously sip from the Pipe of Love to guarantee your own everlasting love for each other. Better still, stay in the freshly renovated former palace-turned-luxury-hotel and allow yourselves to be caught up in the intensity of their devotion. If swimming in mountain lakes and the sound of goat bells get your heart racing, you should aim for the Serra da Estrela. In winter, expect snow on the highest peaks. There’s a ski station here and plenty of hotels cater for this with cosy log fires to snuggle up in front of and soothing sensual spa treatments. In warmer weather, the snow disappears to reveal gorgeous greenery and granite boulders of all shapes and sizes plus mountain lakes to take a dip in. The delightful Casa das Penhas Douradas ticks all boxes, all year round, and will supply picnics for you to take out into the countryside for an intimate lunch in the pure mountain air. Possibly the most romantic town in Portugal, Sintra is a magical place with fanciful palaces, ancient castles and 19th century mansions nestled in a forest. 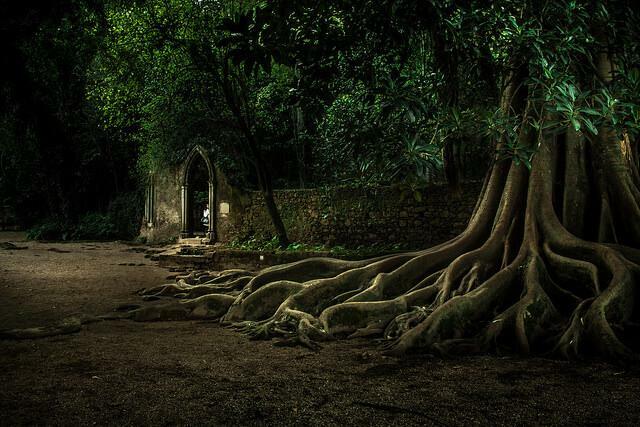 A source of inspiration for literary figures such as Lord Byron, Sintra may well bring out the poet in you. 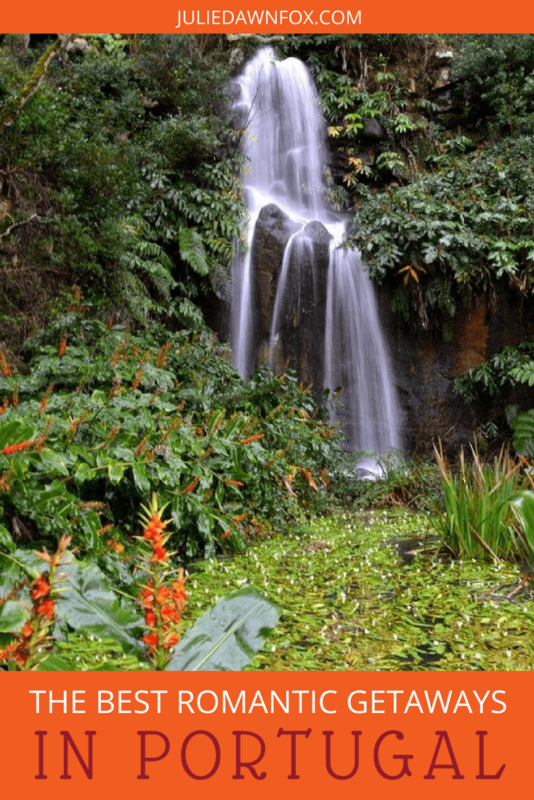 Monserrate gardens and palace receive less visitors than the other palaces so you can escape the crowds as you discover the follies and waterfalls amid exotic flora. Hold hands on the cliffs at Cabo da Roca, the westernmost point in Europe and gaze out to the Atlantic Ocean and across the rocky coastline or go for a stroll on Praia Adraga’s sandy beach to admire the rock formations before tucking into a plate of fresh clams at the beach front restaurant. Spoil yourselves amid the palatial luxury of Tivoli Palácio de Seteias where you can go for a ride around the grounds in a horse-drawn carriage or go out on a horseride. If that sounds too grand, take a look at Chalet Saudade or the gorgeous Casa Holstein. The eastern Alentejo has several attractive hilltop villages with whitewashed houses and cobbled streets. One of my favourites has to be Monsaraz. The moment you enter the walled citadel through a stone archway, you’ll understand why I fell in love with it immediately. Among the many terraces and vantage points from which to admire the surrounding plains is the castle which overlooks the enormous Alqueva reservoir. Hire a boat for a few hours to truly get away from it all and enjoy each other’s company and the nature around you. At night, gaze at the stars in an unpolluted sky. Find an intimate corner in the cosy garden in the adults-only haven that is Casa Pinto. Or wrap up warm on the rooftop terrace with a bottle of wine. 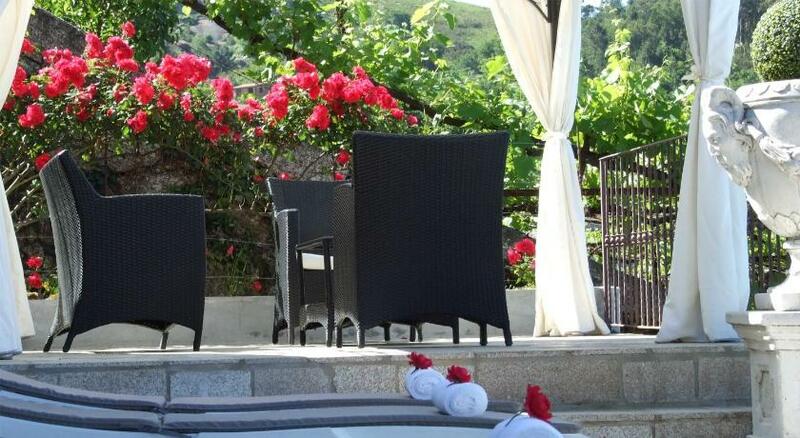 If your budget permits, try the nearby luxurious country estate of São Lourenço do Barrocal. If vineyards and farm animals appeal, you could stay on one of the many other wine estates in the Alentejo region. Mike and I had the pleasure of staying in Herdade dos Grous where there is no need to leave the grounds for at least a couple of days unless you really want to. Rooms have log fires and large baths, plenty of candles and a complimentary bottle of their award-winning wine. Explore the estate by bike, horseback, hot air balloon or on foot and admire the lake from the infinity pool or on one of the free pedaloes. You can read more about our experience here. 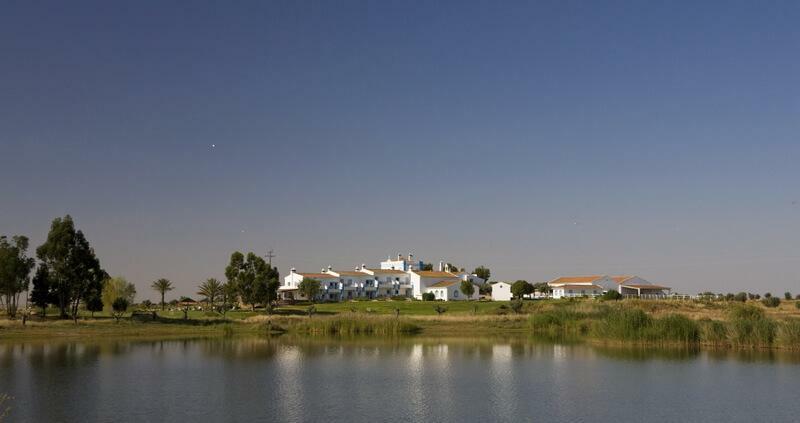 Tavira‘s enchanting riverside setting, Islamic roots and proximity to the lagoons and islands of the beautiful Ria Formosa make it an ideal place to break free from routine and enjoy each other’s company. Fazenda Nova Country House offer a perfect luxurious romantic getaway in a restored farmhouse just outside the town. Their romance package includes a candlelit meal, private boat trip on the Ria Formosa and massages. If you’d rather be closer to the beach, you can still escape from other visitors and find your own private spot at the boutique Bela Vista Hotel in Portimão. As the name suggests, the view of Praia da Rocha beach is wonderful and you can admire it from your private terrace or while dining al fresco. The building itself is romantic, a historical palace which has been tastefully renovated to accentuate the original decor with modern features and a luxurious spa with rooms for couples. Madeira is such a beautiful island, especially if you enjoy flowers, greenery and spectacular landscapes. The north side of the island is even more lush and green. Stay in the foothills of magnificent mountains near the village of São Vicente at Solar da Bica, a restored 18th century manor house. If exploring the nearby Laurisilva forest on foot isn’t romantic enough, book a private flight over the island for views that will make your hearts soar. 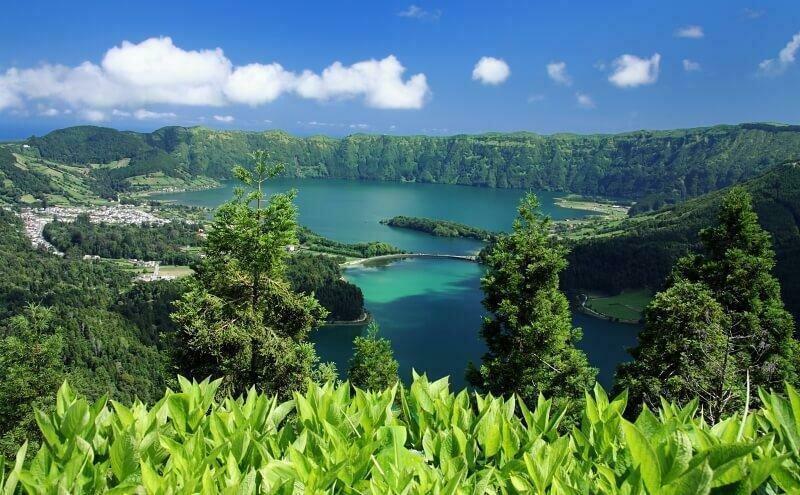 São Miguel is the easiest Azorean island for most people to get to for a short romantic break and I’d be inclined to head straight for the blue and green lakes at Sete Cidades. If the tops of the crater that surrounds the blue lake aren’t cloaked in fog and you fancy a hike with amazing views, you’re in the right place. Even if walking isn’t on the cards, staying in a cosy, romantic lakeside bungalow should set the scene for a loved-up escape from daily life. 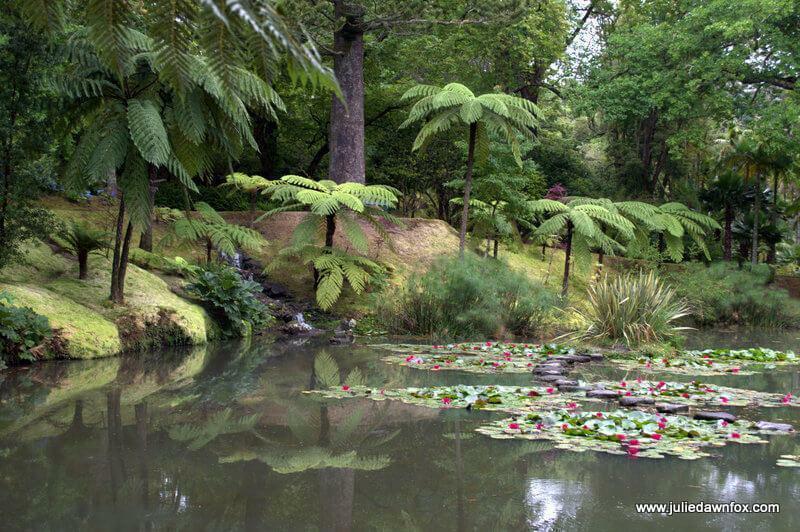 For the warmer waters of thermal springs and truly magical tropical gardens go to Furnas. You can stay inside the beautiful gardens at the boutique Terra Nostra Gardens Hotel. As well as enjoying the garden’s thermal pools, you could take advantage of the hotel’s romantic ‘moments’ and take a picnic to a hidden nook in the gardens or indulge in a couples spa treatment and gourmet meal. If you can tear yourselves away from this idyllic setting, there are plenty of different ways to enjoy the magnificent scenery from a walk or cycle around the nearby lake to swimming with dolphins. Not sure when to visit Portugal? Find the ideal month for you with this guide to the seasons. Disclosure: Some of the links in this article are to my hotel partners. If you book a stay using these links, at no extra cost to you, I may receive a small commission which goes towards running this blog. Thanks for your support. Previous Post: Should You Bother Visiting Berlenga Island? Hi Julie- Hope you are well. We have a 3.5 year old and we are planning to visit Portugal and Spain for 10 days. You have so many things to explore in this article and I am overwhelmed. Can you please suggest how/where we should spend 5 days in Portugal? and due to March- we are thinking next best bet would 5 days in Barcelona. Let us know if you have other suggestions. First time. Thank you. Loved reading your suggestions. As a regular visitor I think Porto a great place for a romantic break. Certainly inspired me when we went their last week as I now process the experience via painting about the memories in my shed. Latest blog post shows the progression of a painting of an old Porto door imbued with symbols of lives lived here. Gorgeous paintings, Mary! And I agree, Porto has a romantic quality – just spent a weekend there myself as it happens! Love these suggestions and, as always, will use a few of them. Planning a retreat to Oporto for Yuletide this December…suggestions for a lovely ‘christmas dinner’, anyone? Thanks, Susan. Hope you have a lovely time. Plenty of beautiful and romantic choices! Have a wonderful new year Jule. Thanks, Sami. And a thoroughly fulfilling 2016 to you, too. For a short weekend break, definitely Sintra. If you’ve slightly longer, the Douro as it takes longer to get there if you’re flying into Porto. If you like romantic walks along deserted beaches out of season, some of the beaches near Lisbon like Guincho or Macas are great around April/ early May. Indeed, although that all depends on where you start from 😉 Both are delightful. Where to start, Julie? I guess it’s bound to be Tavira 🙂 Back there on 1st Feb and looking forward to Carnaval. Still hankering after The Azores, though, or even Coimbra. 🙂 Happy 2016 to you! I do adore Tavira, as did Mike so I totally understand why you spend so much time there. Have a brilliant 2016!